Not all towing companies are created equal. Although contacting a towing company is not a big task, finding an experienced and prompt tow truck service from the many towing services available can be difficult and time consuming. Use our list of tips below to help you to select a good quality towing company to help you get out of your situation. Do your research: Read reviews, testimonials, and check with friends or family to find out what the service is really like. Use the help of the internet, or ask friends and family to give you towing service suggestions in your area. It’s always better to use recommendations from people you know and trust, as you can frequently trust their recommendations. This will also give you an idea of the services best avoided. Discuss their service area: There’s no guarantee that you’ll break down close to home. Find out the distance that the tow truck company is willing to tow your vehicle. Your car might be in Melbourne, but if you need in towed well outside of the city, they may not be willing to take the job. In this case, it would be better to choose a company with based in Melbourne, but are also happy to travel across Victoria. Hours of operation: Breakdowns and flat batteries don’t just happen from 9 to 5, Monday to Friday. Choose a towing company that is open 24/7, so you know that they will always be on hand to help, whenever you need them. Insurance assistance: Find out if you have to pay for the services of a tow truck company upfront or if your insurance company will be paying for the towing services. Some vehicle insurance policies include tow truck service for emergencies. Prevent wasting money by working with companies approved by your insurance provider. Seek experience:If possible, choose a more established towing company; one that has been operating for years. Being in the industry for a long time is a sign that the company has been providing high quality, reliable services to the area. Plan ahead: For the protection and wellbeing of both you and your vehicle, make the choice of which local auto towing company you would prefer to use before you really need to call them. Doing the research and making a decision now will save you cash, time and headaches in the future, particularly if you need towing at night time. This will also help you avoid misreading or not reading costly fine print. At some point, you may encounter minor vehicle mishaps such as a flat tyre, running out of fuel when you least expect it or your battery running out. 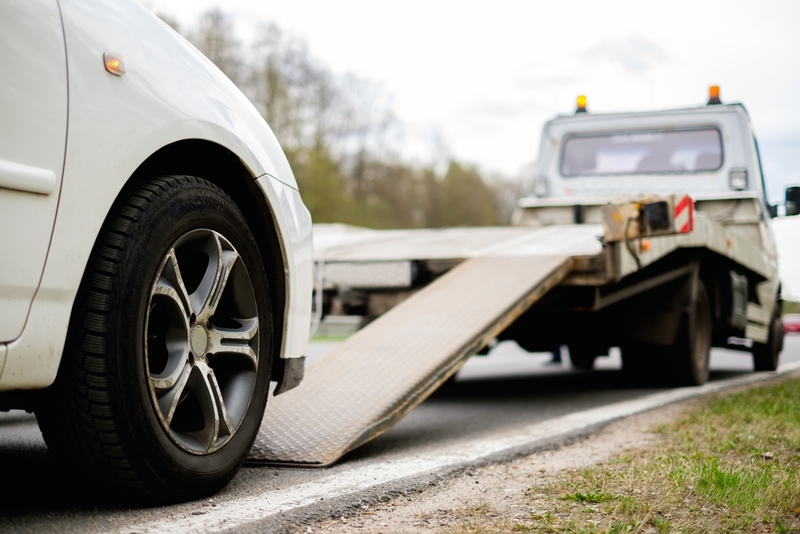 Whenever you encounter such situations, the first thing that enters your mind is to get out of these situations with the help of an efficient tow service. For experienced, prompt and cheap towing in Melbourne, call Anytime Towing & Transport. We offer comprehensive, 24/7 towing services for a range of vehicles, machinery and equipment, Melbourne wide.